Just started reading this book (b-day present from my brother) and have already found myself laughing out loud! As I've written before, I usually take a couple months off after finishing a book before I start another, but I knew this one would be easy and fun to pick up every now and again for a quick laugh or witty observation (love Tina Fey) and so far it's been doing just that! While on the subject of books- last week I finished reading The Help which did not disappoint. I'd been hearing rave reviews about it for some time and can now say that I too truly, truly enjoyed it. It's one of those books that got me right away and would read even it meant missing a meal, a nap, or a shower. Yes, it's that addicting! I liked that I knew nothing about it before reading it as I'm not sure if I would've ran out to read it if I did. Without giving anything away- it's set in the south during the 1960's. It talks about what it was like for African Americans to live in our country during a time of hate and inequality. I find that period of our history horribly shameful and sad. Reading this book reminded me how thankful I am to have been raised in a household of open-minded and non-discriminatory thinking people, had the privilege of attending good schools which taught me the importance of diversity and respect to all, and now being able to raise my own children with those same morals and respectful outlook. I particularly remember my 12th grade Sociology class which showed a movie about racism. It was so cruel and violent that I cried while watching it but will never forget it. It's lessons from our home and school that shape who we are and what we want to become. What I loved about The Help is how it shows the variety of women's roles as mothers, helpers, workers, friends, and daughters. It's a book about true strength, unexpected connections, absurd hypocrisy, and personal discovery. I just heard about the movie coming out next month (August 2011), so for those of you who haven't read it yet- you still have time! Glad you're enjoying it. See you in a couple weeks. I just got The Help on my Nook, and I can't wait to start reading it! 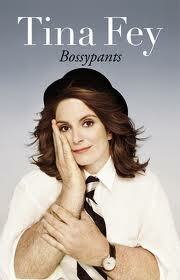 Bossypants is another on my list as well! If interested in sharing content found on katesonlinespace please credit by providing a link back to this blog. Photographs taken by me and/or displayed with the katesonlinespace watermark are not permissible to be republished without my consent. If there is an image or video appearing on this site that you do not wish to have displayed here, please leave me a comment and it will promptly be removed. Questions or comments can be submitted in the comments field of any post. Thank you!